"Plenty of opportunity for first home buyers, live/work opportunities, or your home to be without an HOA. Perfect single level cottage/bungalow in the right location. This 1 bed/1 bath house is ideally located off of 12600 s giving you great access to the freeway, shopping, and convenience stores. Zoning is single family R-4 but master planned Community Commercial. Don't miss out"
"This beautiful townhome condo is located in a great area. Well maintained and ready to move in. Open floorplan for entertaining on the main floor and plenty of room with 3 beds/2 baths upstairs. Plantation shutters and lots of natural light. Community features a pool, clubhouse, playground area, pet friendly, & gated access. The condo is conveniently located to be near the main entrance and the clubhouse. Contact agent to schedule your showing today!" "Welcome to our new community, PARKSIDE! Desirable area with easy access to everything. The Oakwood is a 3 bedroom interior unit featuring open main floor living, 9' ceilings, 42 designer kitchen cabinets, & Huge walk-in pantry. Visit our model home located at 5417 W Clouds Rest Ln, Herriman, UT 84096"
"Welcome to our new community, PARKSIDE! Desirable area with easy access to everything. The Oakwood floor plan is a 3 Bedroom interior unit featuring open main floor living, 9' ceilings, 42 designer kitchen cabinets, & large pantry. This unit features the more spacious alternate kitchen layout with an Island! Visit our model home located at 5417 W Clouds Rest Ln, Herriman, UT 84096." "Welcome to our new community, PARKSIDE! Desirable area with easy access to everything. 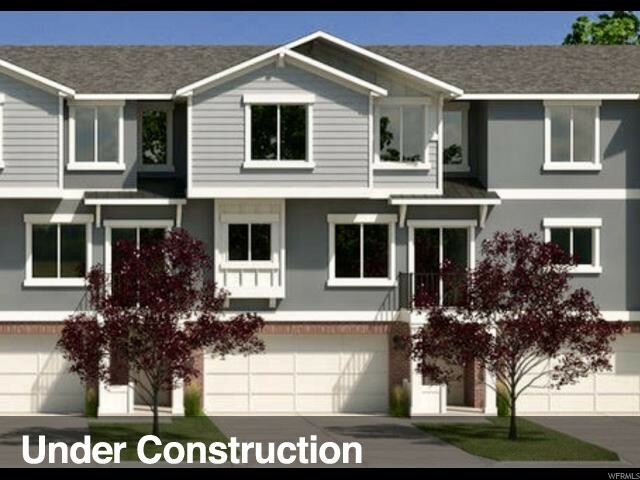 The Sequoia Floorplan is an End unit with open main floor living, 9' ceilings, 42 designer kitchen cabinets, & large walk-in pantry. To visit an existing model, please visit our Yosemite Park Lofts just west of Mountain View Corridor on 11800 South, 5417 W Clouds Rest Ln, Herriman, UT 84096"
"Very Clean. 4 Bedroom. 2 car Garage. Vacant . Immediate Possession. " 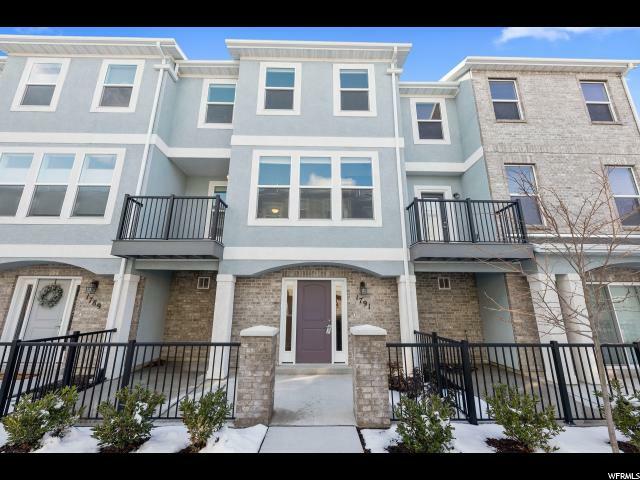 "*** GORGEOUS 3 BEDROOM 2.5 BATH TOWNHOME *** 9 foot ceilings on main floor with open kitchen / family room. Beautiful new laminate wood floors throughout main level. Tile surround fireplace with built in TV nook above. Center island in the kitchen, with stainless steel appliances. 1/2 bath on main level. Brand new carpeting upstairs. Spacious master suite with large bathroom and walk in closet. Laundry is upstairs for convenience. Attached 2 car garage. Enclosed back patio. Community pool and clubhouse." "Welcome home! You will fall in love with this adorable home! Comfortable open kitchen and family room layout, with half bath on the main, and plantation shutters throughout. This home is fully finished, and features a newer water heater, 2 car garage, and a fenced back yard for your fur-friends and enjoying an outdoor space of your own. You will love the large pantry and extra storage spaces. Large master bedroom and bathroom with separate tub and shower. 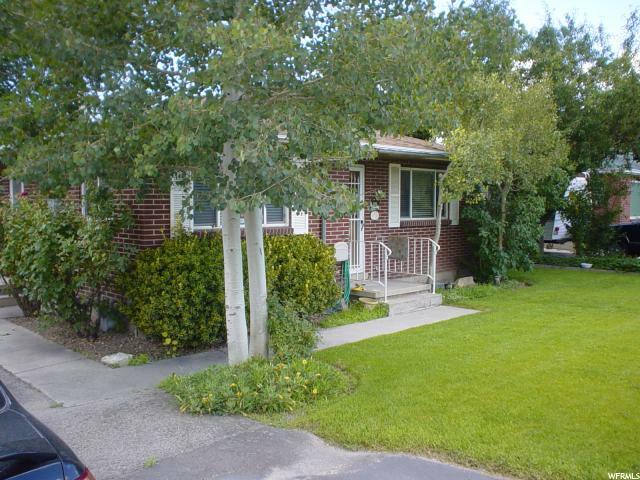 Plenty of space with 3 bedrooms upstairs, adjacent laundry room and 2 full baths. This home is located in a very sought after area, tucked into a quiet neighborhood, with front yard maintenance included and access to a playground. You won't be disappointed! " "Welcome to our new community, PARKSIDE! Final Unit available in the First Loft Building! To be completed in July/August. Desirable area with easy access to everything. 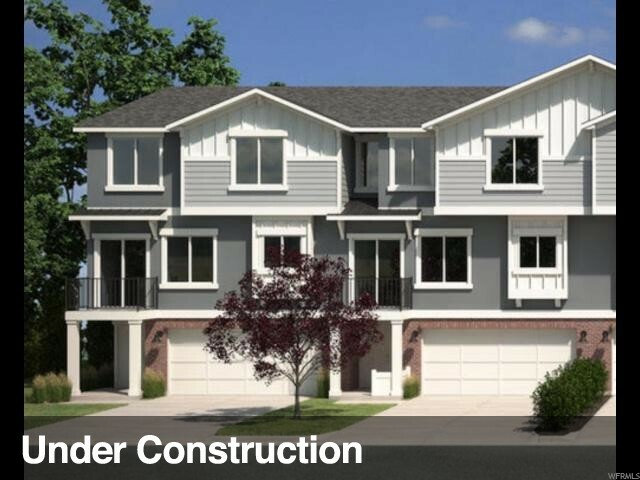 The Ponderosa Floor plan is a 4 Bedroom End unit with spacious, open main floor living, 9' ceilings, 42 designer kitchen cabinets, & large walk-in pantry. 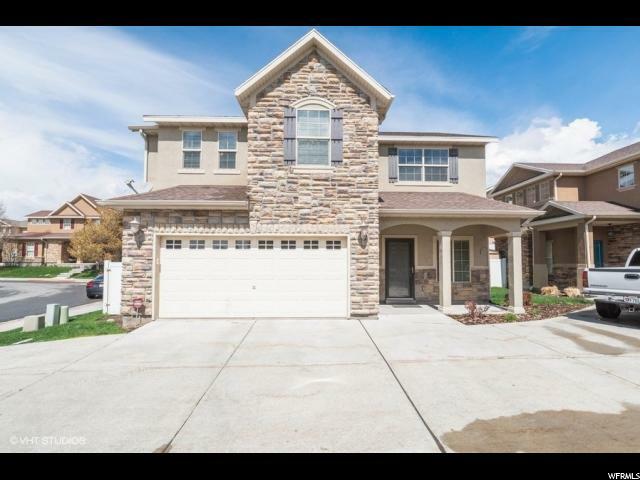 Visit our model home located at 5417 W Clouds Rest Ln, Herriman, UT 84096." 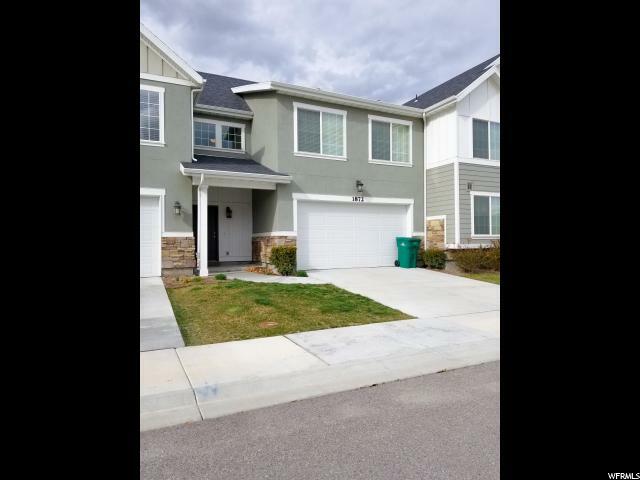 "West of Bangerter, east of Mountain View, Very Desirable Area! Open main floor living area, kitchen includes designer 42 cabinets, 7.5' island, and European styled crown molding. 9-ft ceilings on the main. Fenced backyard has a covered patio! End unit at the end of the street! Premium lot, backs up to green space and playground. *Photos from a previous Roosevelt model and previous community. " "SLC-Home Builder! 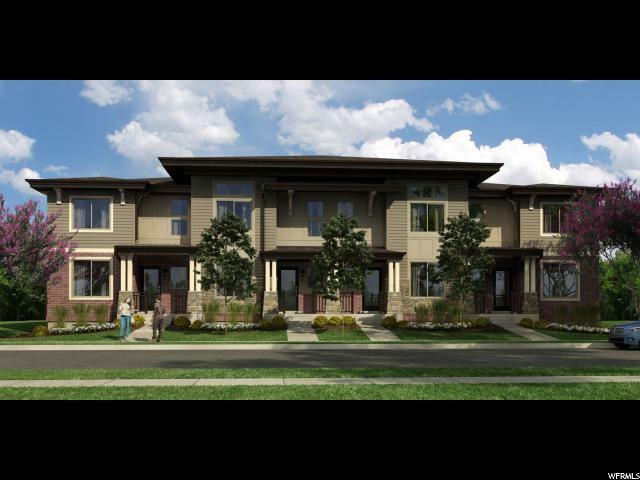 READY TO MOVE IN TOWNHOMES in the heart of Riverton. Our Kenadi floor plan features the best in standard options, like 9 foot ceilings, Spacious Gourmet Kitchen with Quartz, two-tone paint, White soft close cabinets with staggered uppers and under cabinet lighting in the kitchen, wood closet shelving, and LVP floors with options to make your home uniquely yours. Only a walk away from Vasa Fitness, 5 minutes away from I-15, and 10 minutes away from outdoor hiking trails. 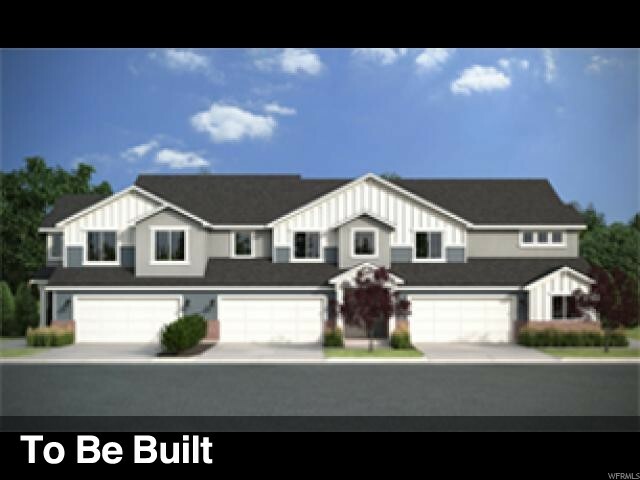 Come see why our standard homes beat any of our completion. The community boasts the best of both care free community living and affordable housing to fit almost any budget. You can choose this floor plan or any of our other incredible floor plans. Let our team help you build your forever home today! " 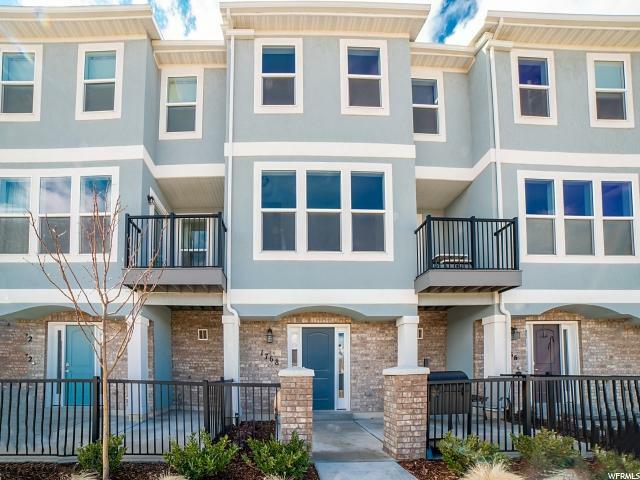 "South Facing Townhouse* Conveniently located minutes away from shopping, Vasa Fitness, and freeway entrance. 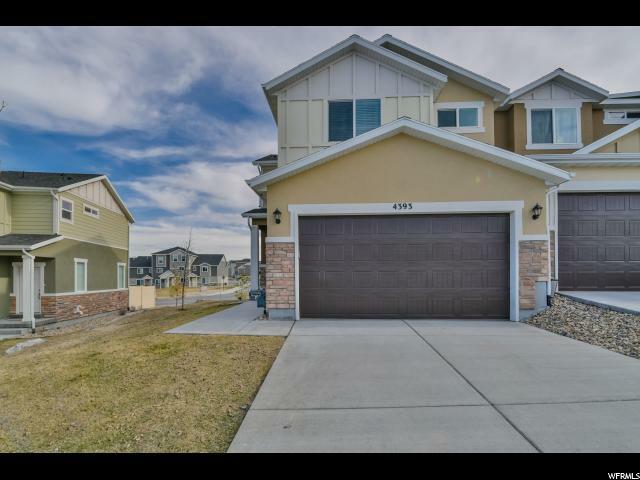 -Granite Counter tops -Beautiful White Cabinets -Gas Range -Stainless Steel Appliances -Open living area with vaulted ceiling -Pet Friendly and a Playground right across the street." "Very modern, beautiful, fully landscaped town home in a quiet community. This home feels brand new, with many windows and tons of natural light . It was designed with a very open floor plan , beautiful white kitchen with breakfast bar, granite counter tops, and plenty of room for a dining room table--the perfect entertaining space! Bedrooms are on the third floor to allow for designated entertainment space and living space. Spacious master bedroom suite has attached master bath, double sinks, and walk in closet. Separate tub and shower are a huge plus! 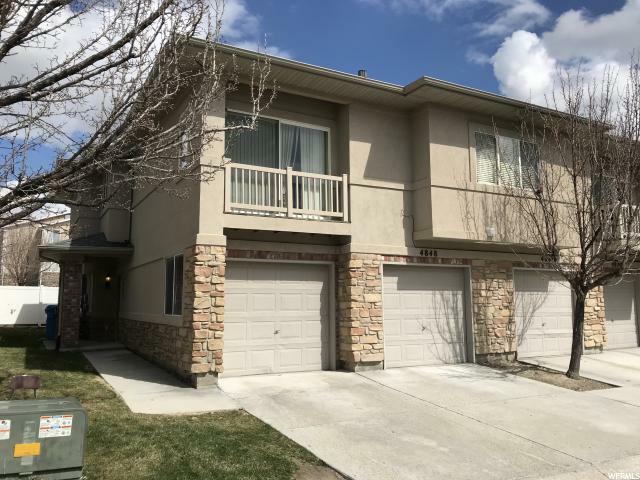 There is a deck with spectacular views of the Wasatch Mountains.This unit overlooks a large grassy area--no town homes in front of it. Perfect! Square footage figures are provided as a courtesy estimate only. Buyer is advised to obtain an independent measurement. Advance notice for showings appreciate." "Beautiful home with open layout, tall ceilings, lots of natural light, and upgrades throughout. Everything is nice, new, and comfortable. Granite counter tops throughout, tile in bathrooms, LVP (waterproof) flooring through all main living areas, and upgraded carpet in bedrooms and stairs. Wide 2 car garage. Easy access to I-15. You will love this home! Square footage figures are provided as a courtesy estimate only. Buyer is advised to obtain an independent measurement." "Absolutely georgous home, newly updated through out! 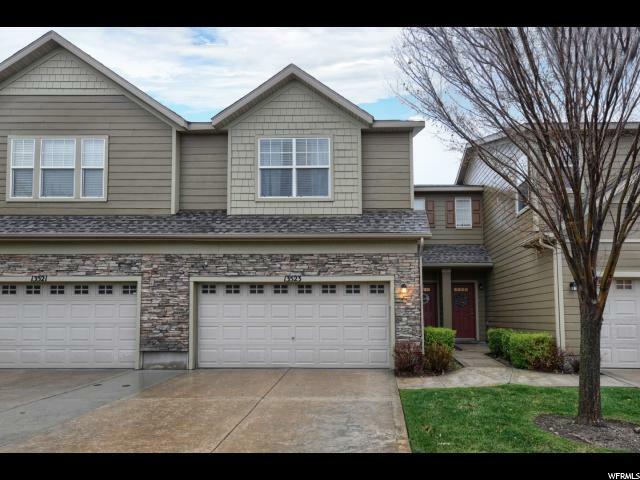 features 9 ft ceilings on main, beautiful new laminate wood flooring on the main, new carpet, custom moldings and trim, custom lighting and fixtures throughout, brand new wood tile in master bathroom. The home is functionally laid out w/ both formal living and great rooms. HUGE Bonus 4th bedroom (double the size!!) Upstairs features a darling, wide open loft like space and laundry. Gourmet kitchen has been remodeled and includes raised panel upgraded cabinetry with staggered heights and depths, beadboard backsplash,and 2 granite counters. 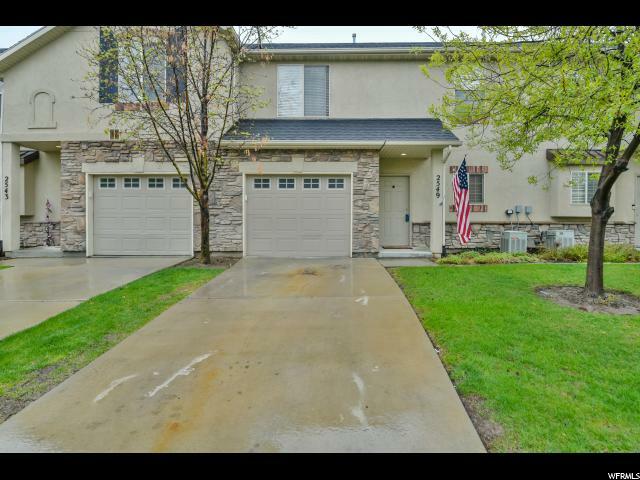 BEST VALUE IN HERRIMAN/RIVERTON FOR 4 BEDROOMS & UPDATED!" "OPEN HOUSE SATURDAY APRIL 13 FROM 10-1 PM. 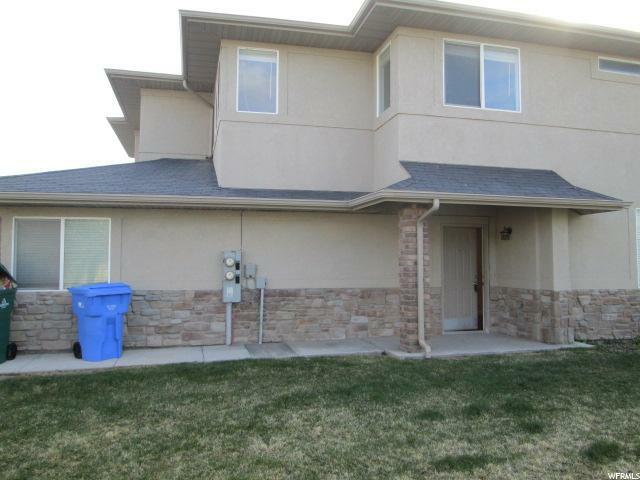 Don't miss out on this amazing end unit town home in a great Riverton location. 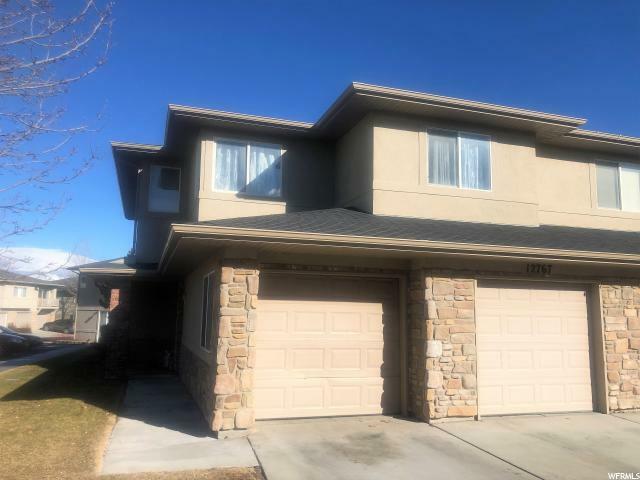 This home is only a couple of years old and is in brand new condition with its granite counter top, laminate flooring, and dual vanity marble sinks. Close to all of your shopping and entertainment needs. This home will not last long!" "This is a MUST SEE Row-End Townhome in an excellent location just off of Moutain View Corridor! 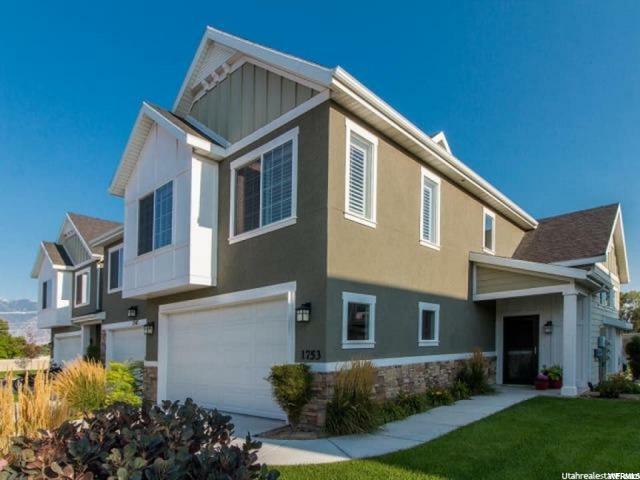 This 5 Bedroom Townhome has plenty to offer. Highlights include a fully completed basement and very spacious bedrooms with walk-in closets, excellent Mountain and City Views, Beautiful Kitchen with Stainless Steel Appliances, and much more! 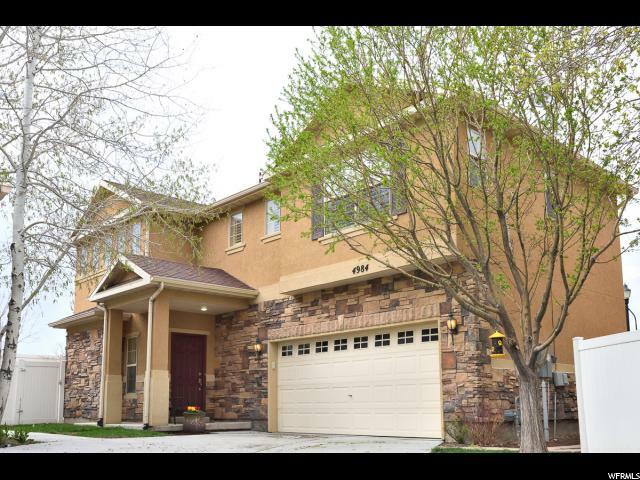 Bangerter Highway, as well as I-15, are easily accessed which makes this location ideal. Just Minutes away from Mountain View Village, dining, shopping, and much more! ***Buyer to Verify All Information / Square Footage***"